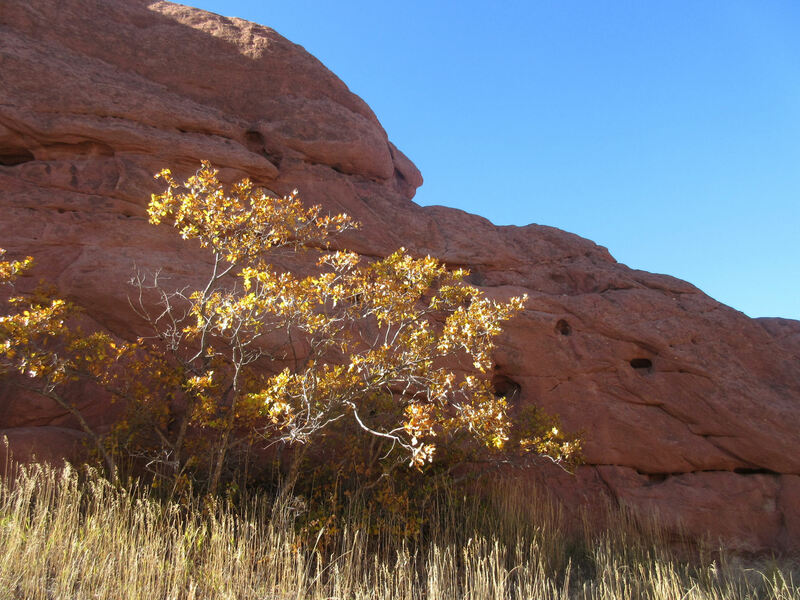 The Springs in Fall — 2015 Photos #29: Outtakes, Colorado « Midlife Crisis Crossover! 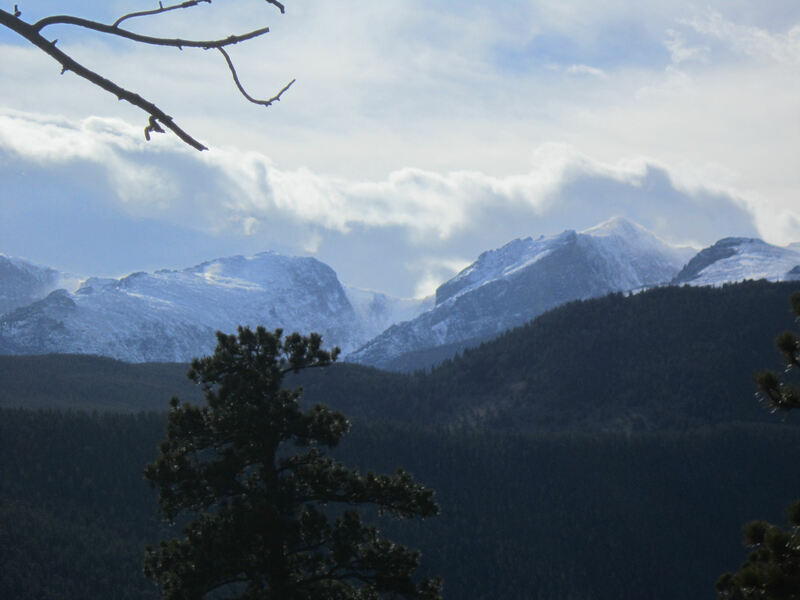 Those amazing colossal Rocky Mountains up in Rocky Mountain National Park. Better or worse than the shots we shared before? 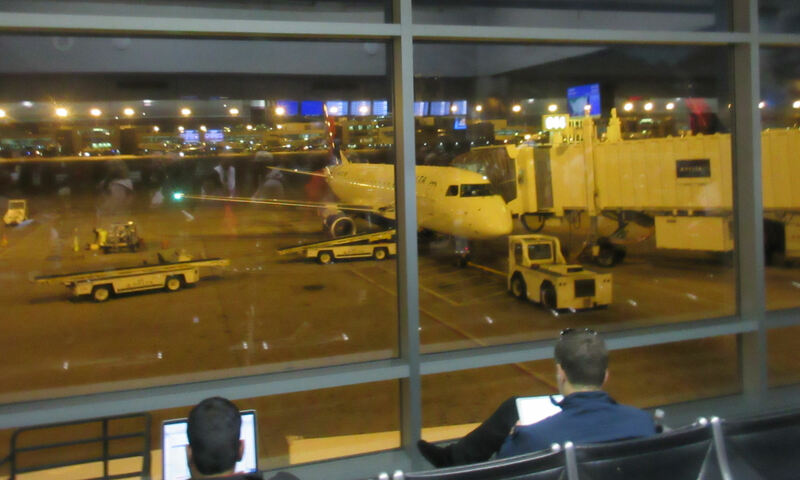 Previously on Midlife Crisis Crossover: we guided you through our second trip to Colorado in twenty-eight episodes — November 1-6, 2015, Sunday through Friday, which represented our very first experience with air travel. We didn’t lose any luggage, eat any airline meals, wait extra hours for a delayed flight, land early due to onboard nuisance, see any Muslims snap-judged, or throw up at any point. And between the flights there and back again, we saw lots more Colorado we hadn’t seen our first time around when we drove out there from Indianapolis in 2012. Here, in our grand finale: a selection of outtakes from various chapters — a few skipped by dumb oversight; a few that captured isolated moments disconnected from the rest of the narrative; and a few left behind due to inadequate wow factor. We may be aging amateurs who don’t have thousands of unconditional superfans, but we do have light standards. Indianapolis International Airport is split into two concourses, connected by a food court called Civic Plaza. 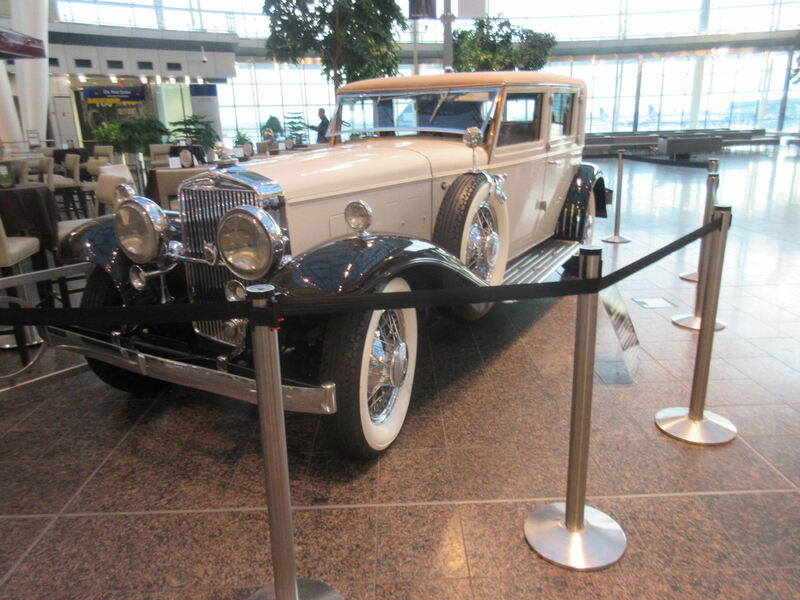 One of its decorations is this old-timey car whose details I failed to note. If you recognize the make, feel free to chime in. 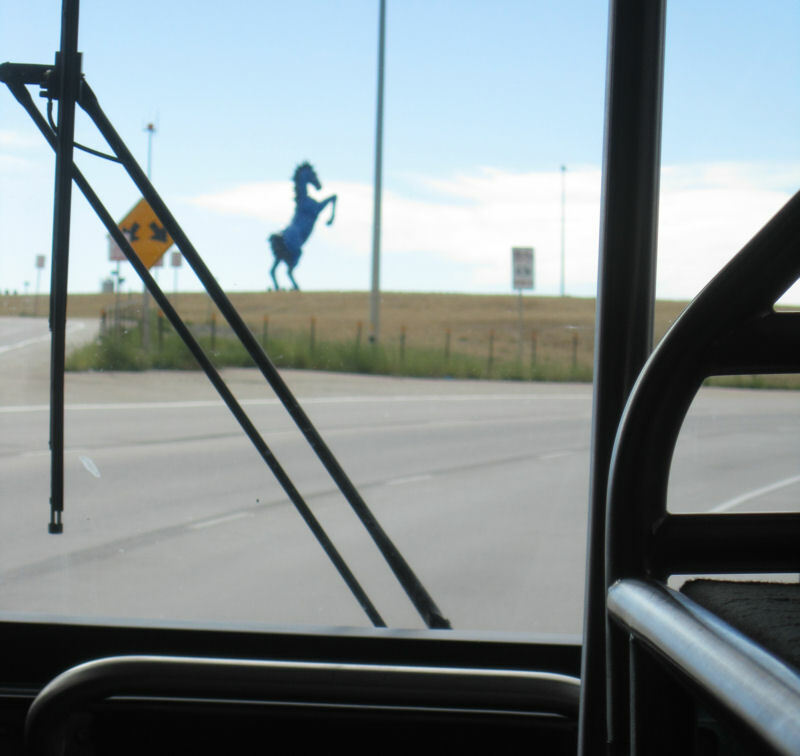 The eeriest statue on the grounds of the Denver International Airport is Blue Mustang, nicknamed “Blucifer”. This 4½-ton monster has glowing red eyes and killed its own sculptor by falling on him. The closest we got was this distant sighting from the bus on the way to pick up our rental car. Either a missed photo opportunity or a missed brush with death? 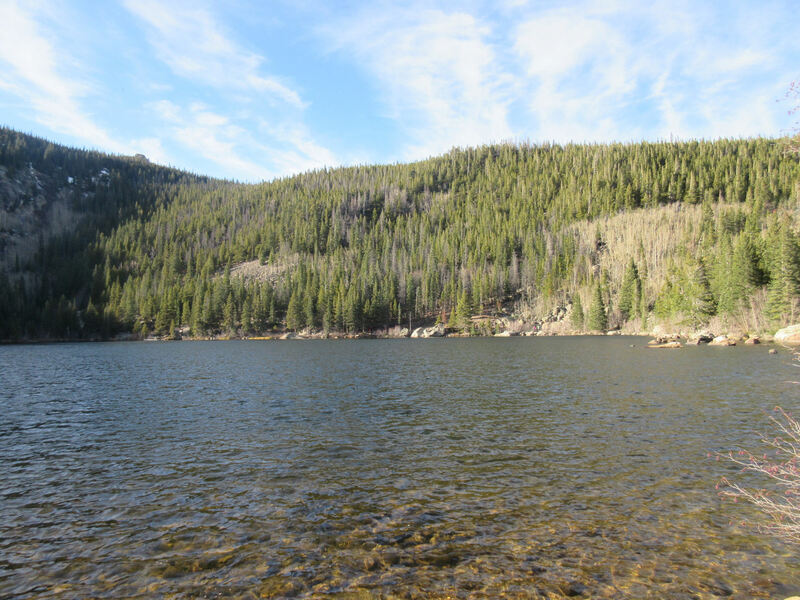 Extra shot of Bear Lake that really brings out none of the surrounding details. An ideal backdrop for Photoshopping in your favorite version of the Loch Ness Monster. Due to employment commitments, this was the only photo Anne took on Day 2, and she later took none on Days 4 or 5. 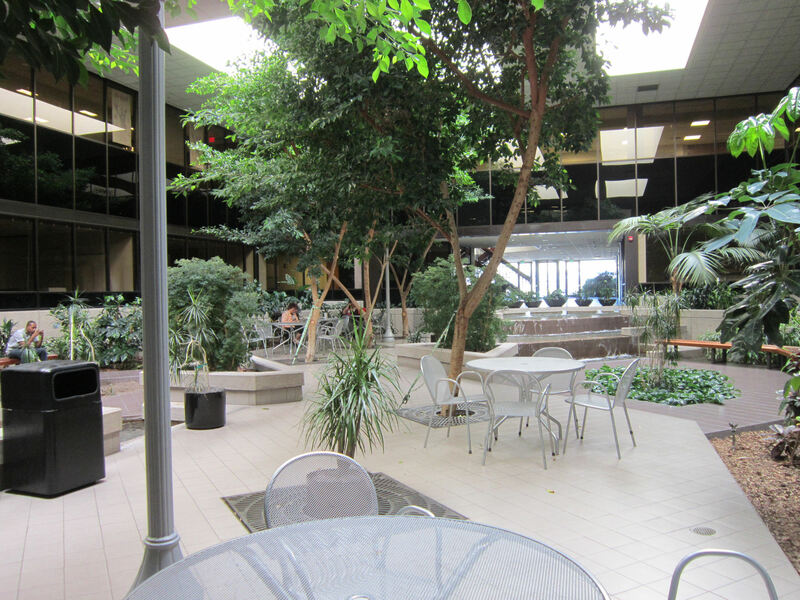 As I recall, this spacious courtyard belonged to the company next door to hers. US 24, the highway that heads west from Colorado Springs into the Rockies, as seen from the Cave of the Winds. Several pics went unposted because autumn turned several scenes into so much ’70s-decor brown. Red Rock Canyon Open Space was a great place for a long walk to clear my head. It also left me with a few dozen pics that began to look alike after I stared at them all for too long. 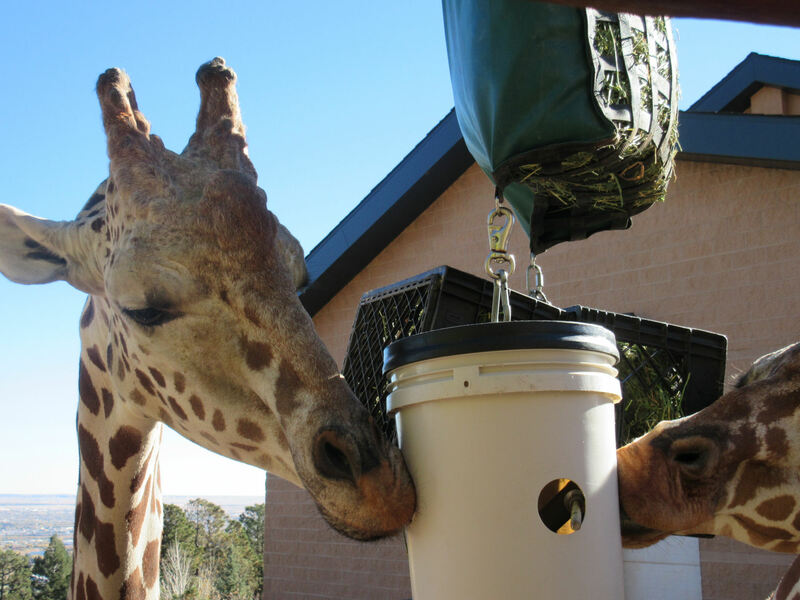 Cute giraffes feeding at the Cheyenne Mountain Zoo. I realize among the hundreds of things that don’t excite readers, zoo animals are one of them. I limited myself to just one giraffe pic the first time around on the assumption that You, The Viewers at Home, wouldn’t be demanding more of them. 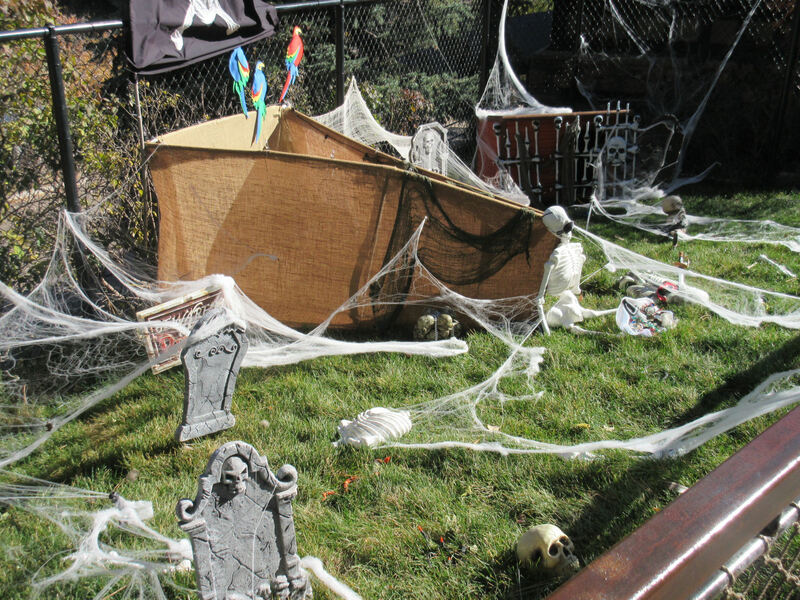 As of November 3rd, the Cheyenne Mountain Zoo still had one Halloween diorama up. 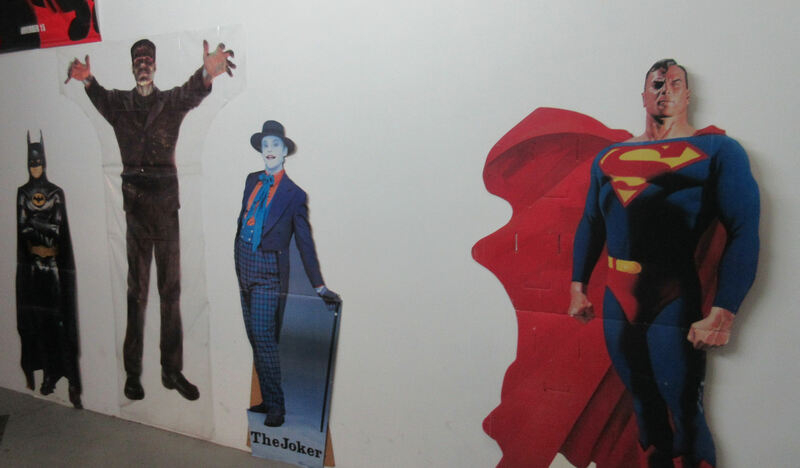 Cardboard standees guard the hallway leading inside Mile High Comics, led by an Alex Ross Superman. 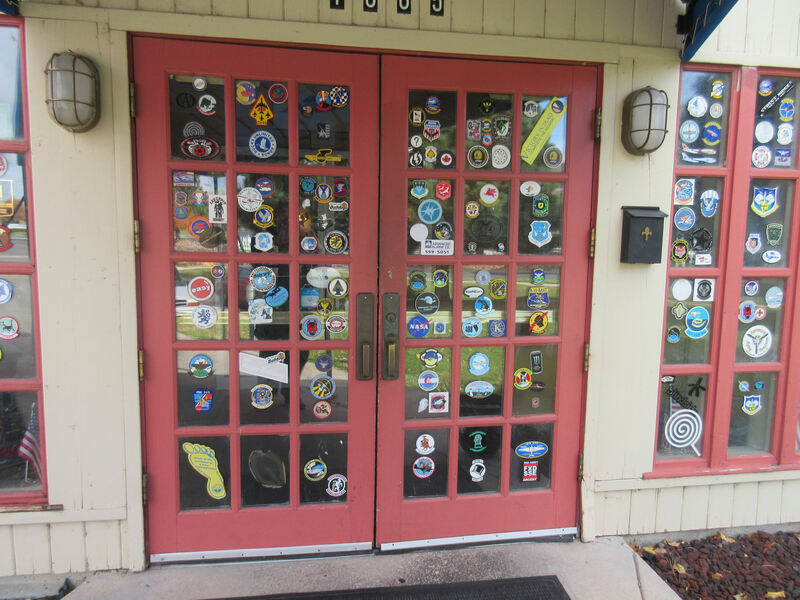 Lots and lots of air-related stickers cover the front doors to the Airplane Restaurant. 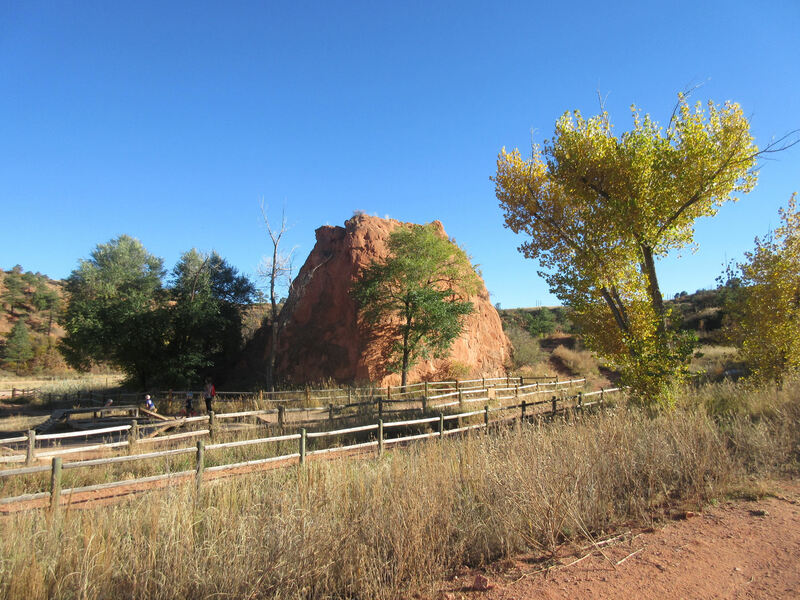 One last glimpse of a vaguely mountain-ish Colorado Springs locale: the kiddie playground at Red Rock Canyon Open Space. Wave hi to the complete strangers! Six days. Two flights. Scores of mountains. Four parks. Four comic shops. Six donuts. At least six smashed pennies. Twenty-eight chapters from the most-Liked (hurray for WordPress Weekly Photo Challenges!) to the most-shunned (a three-way tie between this one, this one, and also this one). Thanks for reading and encouraging where applicable. Lord willing, see you next trip.